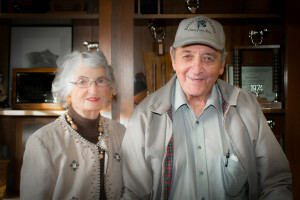 Hales Angus Farms purchased their first registered Angus heifer in 1962. Over the past 54 years, the Hales family has adjusted to technology to build an Angus cow herd to produce proven performance and carcass genetics. Hales Angus accomplished recognition within Texas and the Angus breed by managing their cow herd with AI breeding the top 70% to the most proven sires available. 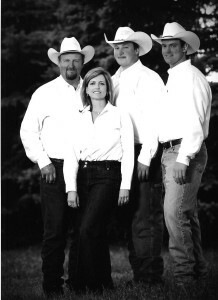 They were included as s stop on the National Angus Conference tour in 1999. Hales Angus Farms recorded the high-selling bull consignments to numerous sales and was recently awarded Pathfinder status by the American Angus Association (AAA). Hales Angus ranks first in Texas for the number of Pathfinder dams currently in production according to the 2006 AAA Pathfinder Report. Hales Angus has also maintained a brucellosis-free herd since 1980. Not only have the Hales been using AHIR records since 1962, they have also selected cattle based on desirable phenotypic characteristics; “middle-of-the-road” for frame, geared mainly for the commercial rancher, while incorporating thickness and muscularity, still realizing the importance of carcass bulls, without sacrificing birth weight, milking ability and productivity. Hales Angus will move into the future with the same ideals that have kept them going for the past years!